NLR Inter End Carriers Design. The stands are designed to locate the NLR Inter Ends in a vertical orientation. They have been fabricated from 160mm x 80mm x 5mm box section with 12mm thick laser cut support plates and 5mm thick locator plates. 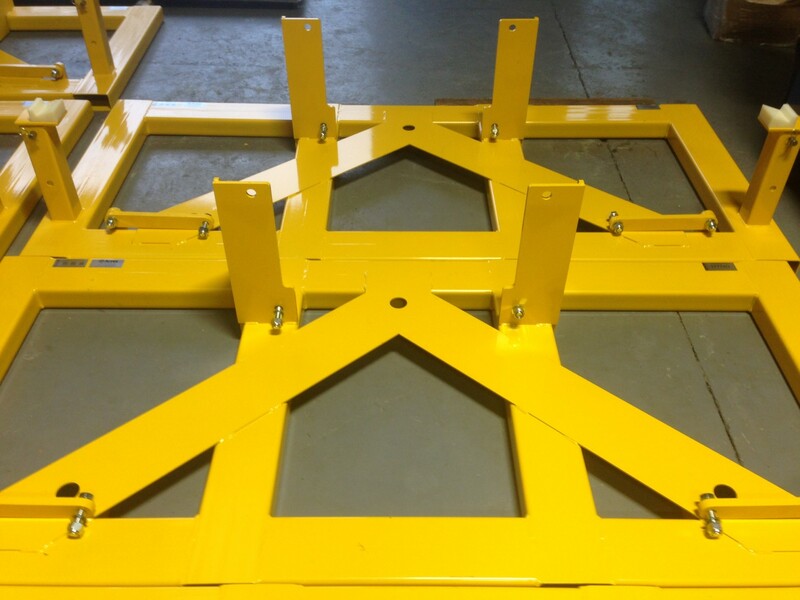 The welds on the stands have been inspected in accordance with BS EN:ISO 5817 Quality Level C.
The stands have been powder coat finished in BS 4800 08 E 51 Yellow. Approximate overall size – 2500mm (W) x 1100mm (D) x 600mm (H).